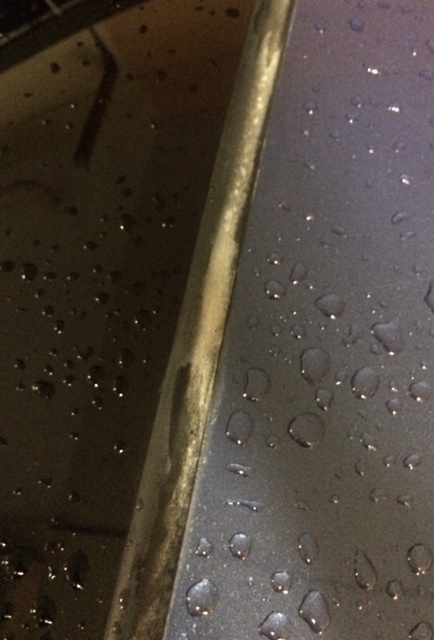 I'm having an issue that recently started where if I leave my car parked in the rain for even a short while, the floor by the driver's feet will get soaked, and a small pool of water will even form. Nowhere else in the car is getting wet, and I've confirmed that it's not dripping from above (so windshield is fine) - so I'm at a loss. I did find a similar post (/gforum.cgi?url=http://autoforums.carjunky.com/Automotive_Repair_C1/gforum.cgi?post=84360), where Tom Greenleaf gave some advice. He mentioned the AC system, but since my car just has a heater and a fan, perhaps that isn't relevant for me? He also mentioned that if there was some issue with the heater core, then that might "fog windows such that they won't clean off easily" -- so I should also mention that I've noticed something like that, sometimes I'll get into the car after it's been parked for a while and the windows will be weirdly fogged, and a little tough to unfog. And this happens randomly on days when it isn't raining. Don't know if that's relevant, sorry I'm a bit clueless about all this but thought I'd give any information needed. Just because it's not falling from above, don't assume the roof and windshield are good. 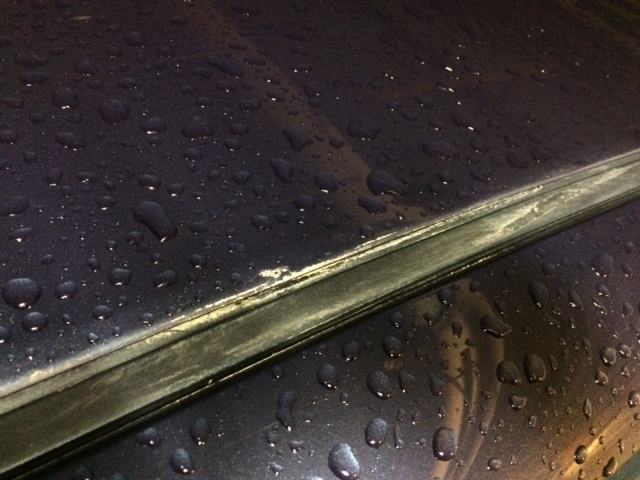 Water can travel half way around the car from the point it came in before dropping. You need to find the water trail and follow it to it's source. PS, you can post links to any of our threads or any pictures or videos of your own vehicle. Ah, ok thanks for pointing that out. I just now checked out the seal strips and noticed there's some odd white buildup along the roof seals, both the front by the windshield and on the sides and back ones. 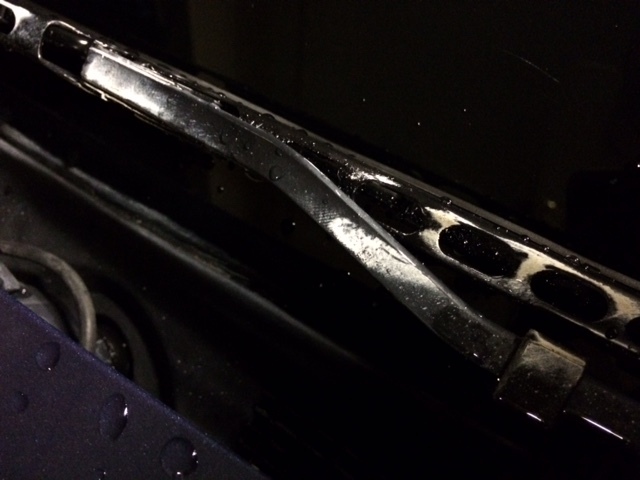 There's similar buildup on the wipers, photos attached. When I rub it firmly it comes off, mostly. Could this be relevant (or instead indicative of some other issue)? Sure it could. Dozens of things can be the source of the leak. 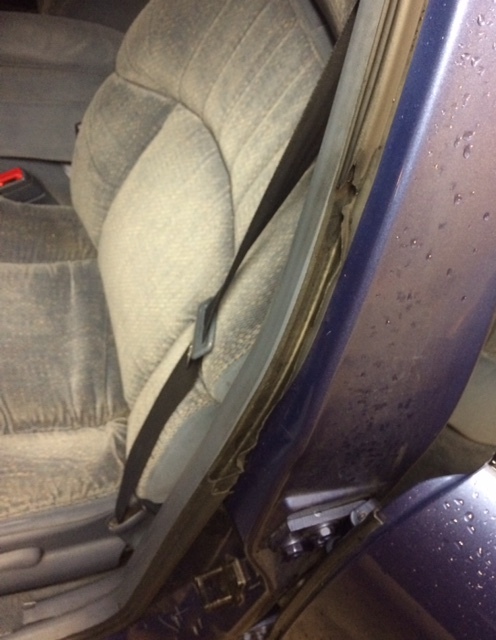 You are going to have to remove some of the interior trim and have someone spray it with a hose while you are locked inside looking for the leak. I don't see a way to post a message without what looks like quoting a post but anyways my 1993 Buick would fill up with water and it turned out to be the gutters above the doors. The tiny screws they used just didnt hold and water poured in.